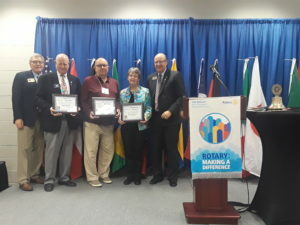 Knoxville Rotarian Gary Anderson was one of 13 honored with the Paul Hellwege Guardian of Integrity award last Friday in Ottumwa at one of five Toasts to Rotary across District 6000. 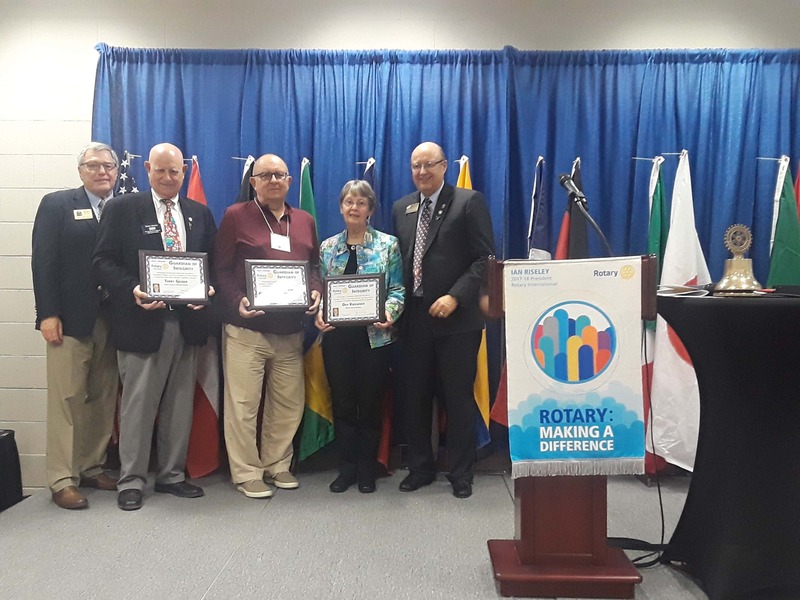 Hellwege was a past governor of rotary district 6000, and the award was created to honor those whose life exemplifies the attributes and passion for ethics and integrity in his or her vocation, business, and personal life that Paul Hellwege exemplified. Rotary Club of Knoxville President T. Waldmann-Williams tells KNIA/KRLS News Anderson was chosen to receive the award because he exhibits the four way test of rotary; is it the truth, is it fair to all concerned, will it build goodwill and better friendship, and will it be beneficial to all concerned, and Gary exhibits those traits in his everyday life and through his work with Rotary. Rotary district 6000 covers the south central and southeastern portions of Iowa.